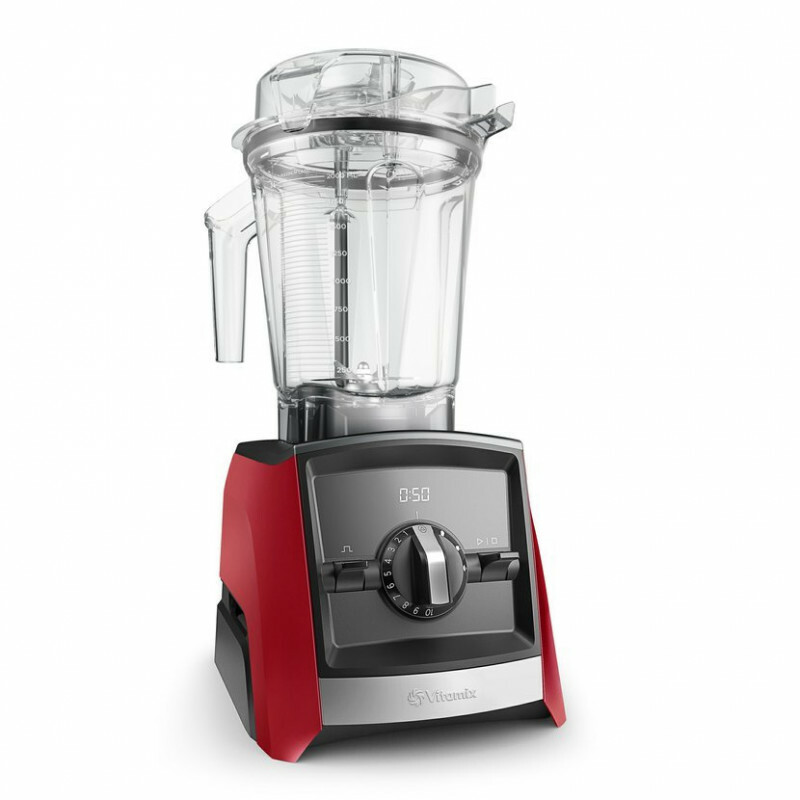 Vitamix® Ascent ™ Series will help you create the best quality food in the comfort of your home. 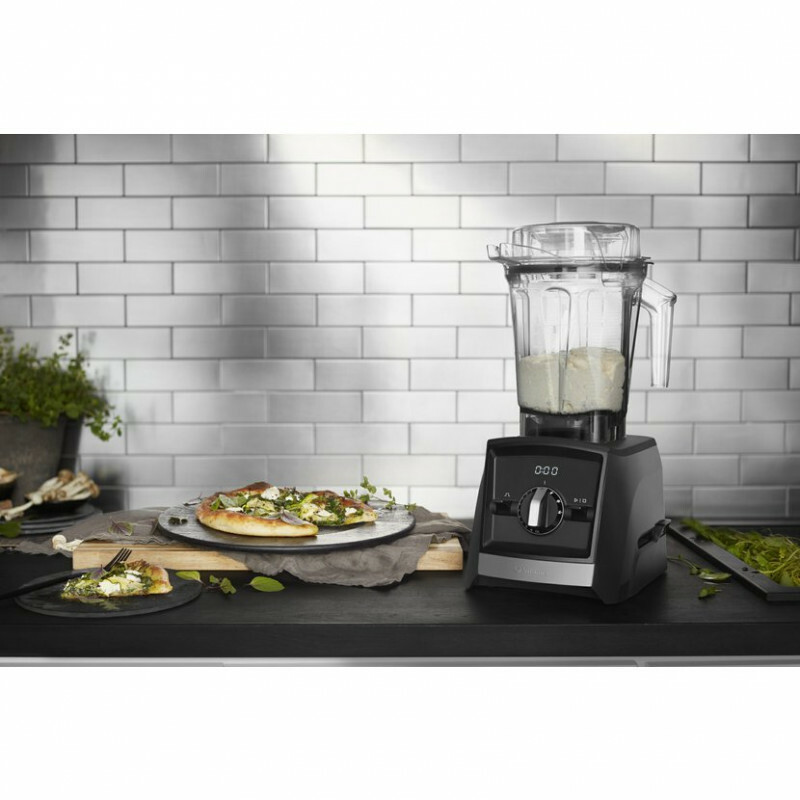 As the first high performance mixers with built-in timer and wireless connectivity, these devices will deliver maximum comfort and versatility anytime in the future. 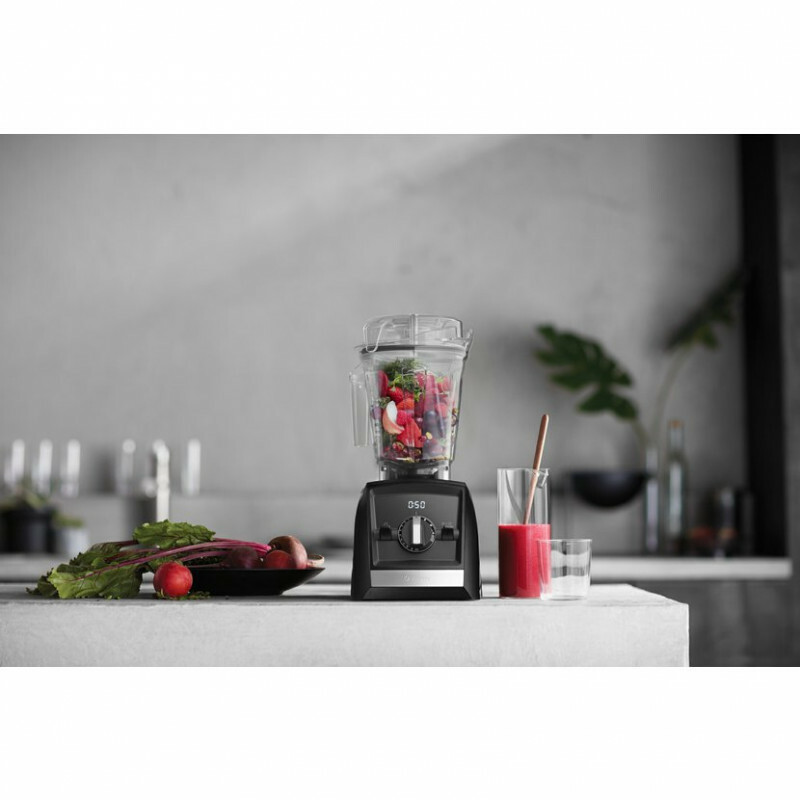 Combining the most advanced design with performance and precision, Vitamix is ​​the first high performance revolutionary wireless technology (NFC) mixer to deliver maximum comfort and versatility today and many years ahead. 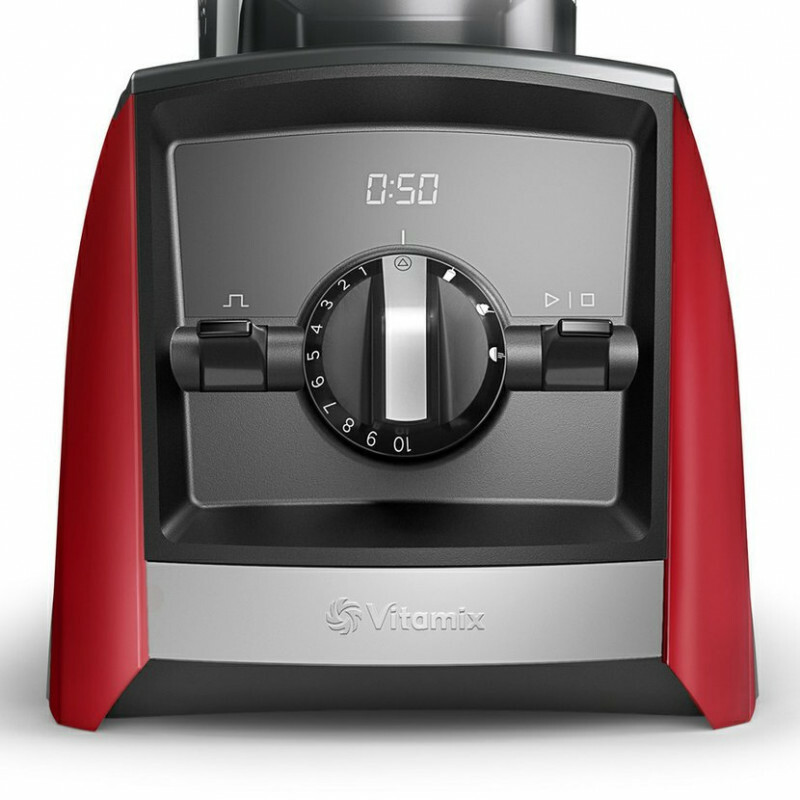 Vitamix Ascent mixers are more than smart. They are made to withstand, intuitive and ready for the future. Made so precisely that every year, in everyday use, it will crush even the most durable raw materials. 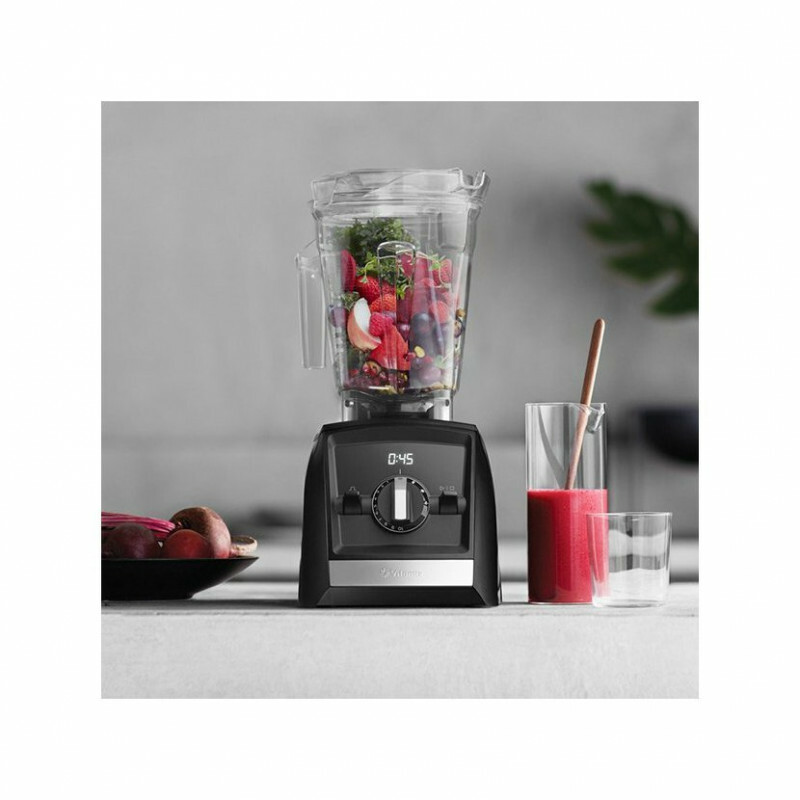 It's not just a mixer ... it's a Vitamix kitchen appliance - a blend of perfect design with revolutionary technology. The NFC automatically detects programs and the maximum mixing times according to the vessel size. The Magnetic Safety Lock (Interlock) does not allow start without closing the lid. The 3 preset programs allow you to conveniently walk away and engage in other activities while mixing and always achieve the same perfect results. 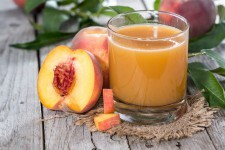 Preset programs: smoothies, frozen desserts, hot soups. 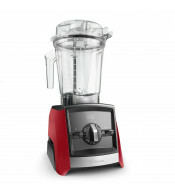 Optional Speed ​​+ Pulse Button - Choose any texture yourself ... from pieces to smooth purée. 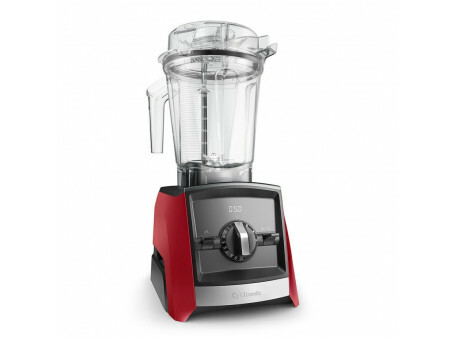 Built-in digital timer - ensures you get your favorite consistency every time you mix. Tough stainless steel knives ensure the same quality mixing result for years. The metal carrier allows safe and durable connection of the motor and knife units. The mixing bowl has a low profile so it can fit under each upper cabinet of the kitchen unit. The dish can be dishwasher-safe! Transparent lid for easy mixing control. The container and lid are from BPA Free Tritan. Choice number one by world-renowned chefs. 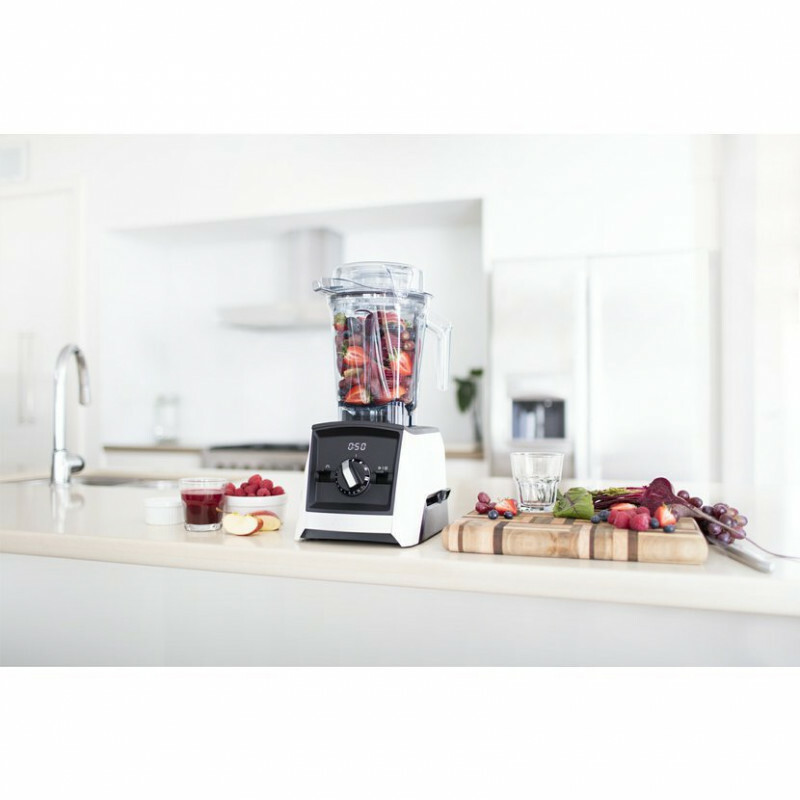 Commercial mixers Vitamix uses the vast majority of the world's largest food chains. 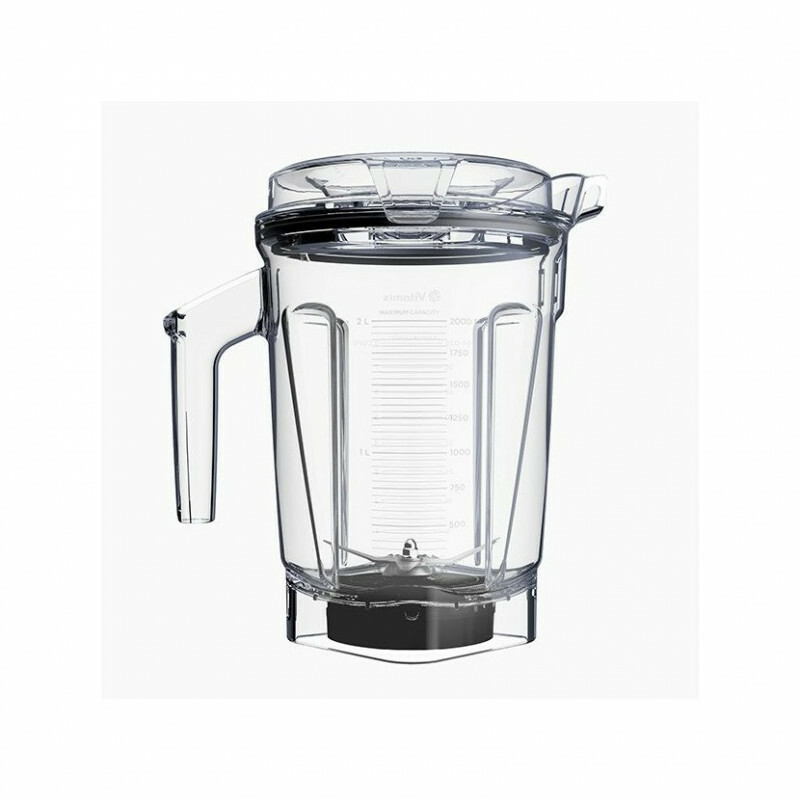 All mixing vessels (both basic and auxiliary) are self-cleaning (up to 60 seconds with a wash program) and can also be washed in dishwashers without disassembly. 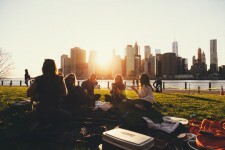 They can handle over 10 culinary techniques, including the preparation of hot soup without the use of a stove. Made for performance and durability with a 10 year warranty. 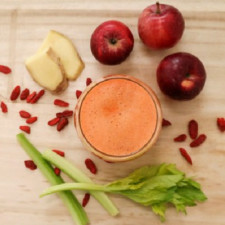 It blends perfectly smoothly (smoothies, fresh, juices, etc.). Liquid any raw material (leaves, baking powder, micro fiber). Cuts and rotates any pieces (cabbage, onion, nuts). Beads and emulsifies (whipped cream, mayonnaise, cream, etc.). Prepare hot soups (you do not need a stove). My flour and seeds (smooth, rough and loamy). Crushes, shreds and milks (coffee, breadcrumbs, meat, etc.). Bake bread pastry (homemade pizza and bread, etc.). Produces ice cream and sorbet (frozen desserts and sheeps). Mixing tanks for the ASCENT SERIES series are available in two volumes: 600 ml and 225 ml. 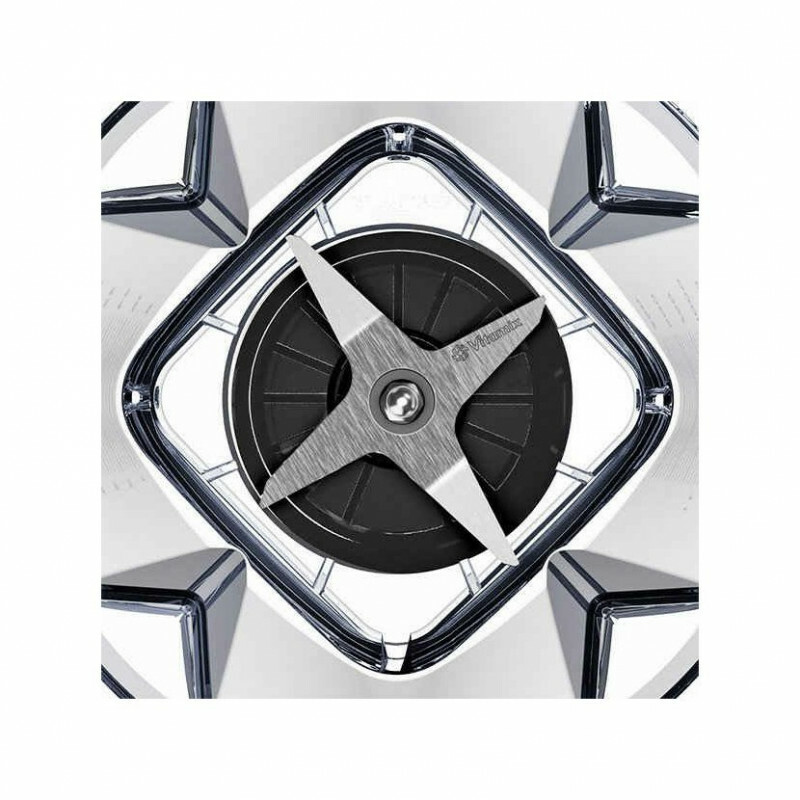 Optional accessory sets include a base for connecting these low-volume vessels with car detection technology, which allows the mixers to recognize the vessel size and automatically change settings. These durable containers (made from Tritan) can be used to chop ingredients into any dishes, prepare smaller / individual portions of smoothies, dips, dressings, baby food etc. 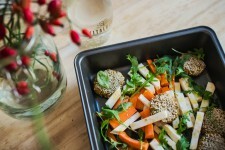 These optional containers are waterproof with a tapping opening allowing instant preparation, storage or transport of mixes without unnecessary staining of other dishes. 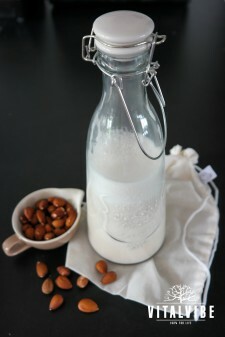 All auxiliary bottles and attachment bases can be dishwasher-safe. Laser-cut knives are made of the same hardened stainless steel as knives in Vitamix standard sizes. This ensures better mixes and longer life. Additional containers have a 3-year warranty. * Additional mixing tanks are not suitable for microwave ovens and are not designed for mixing hot liquids. 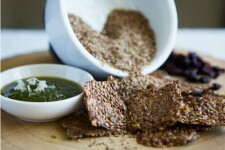 Add some Spirulina Crunchy Spicy to a classic cashew cheese, form balls and the world’s fastest snack is ready! Do you fancy some nutritious raw snack but you are not so much into sweets? 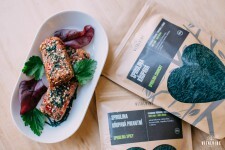 Try to make some spicy salty sticks with Spirulina Crunchy Spicy from Bali. It’s ideal for travelling or to accompany your salad. 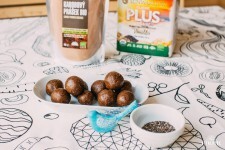 Those balls are not only a source of healthy energy and necessary protein but they are also great for your digestion thanks to the apple flax and chia seeds. Moreover, they’re a lighter alternative to protein bars as well as they don’t contain so many nuts. Christmas preparations are approaching to their end but the most important thing is still ahead. The preparation of Christmas Eve dinner doesn’t have to be a struggle if we plan everything thoroughly and invite small or big helpers who put their hand to the plow so that we all can finally sit at the common table and taste treats we have prepared. 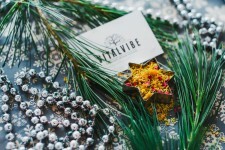 Have a look with us at the tips, how to create a Christmas Eve menu which is based on vegetable food only. 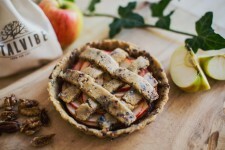 Simply healthy and deliciously! 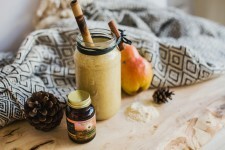 Smoothie je jednoduché a rychlé, poslouží jako výživná snídaně nebo svačinka během dne. V jedné sklenici do sebe dostanete proteiny, ale i vitamíny, zdravé tuky a spoustu dalších látek. Začněte s ním každý den a sami poznejte ten rozdíl! After Christmas feasts, we present here something lighter. 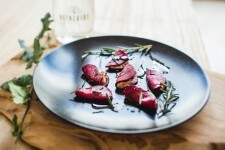 Bright colours of raw carpacio made from beetroot are really impressive on a plate, so they can also serve as refreshment for New Year’s Eve. Exotic toffees with salt and cardamom are literally melted on your tongue and they are a welcoming diversification of your Christmas table. Remarkable cardamom will pleasure your taste buds, and what’s more, it can also warm you up nicely. 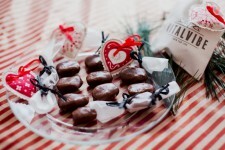 The Advent started last weekend and that is the time when our homes get scented by confectionery. There is an advantage of its raw variant – you don´t have to prepare it beforehand, it is made in couple of minutes and there is no risk of loitering in front of the oven and later waiting for the confectionery to cool off. We´ve chosen three recipes that can become a highlight of your Christmas table. We also reveal a couple of useful tricks of the trade. 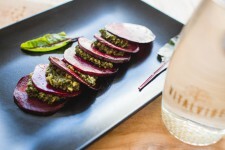 Healthy beetroot ravioli with almond cheese are quick and easy to prepare. You can serve them as a tasty appetizer or accompanied with salad as a healthy dinner. A sophisticated French dessert is an impressive sweet ending to a main food. 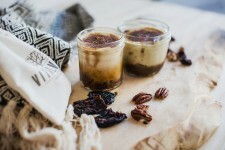 Raw and vegan Crème brûlée is a healthier option to the famous dessert, salted caramel and a rich taste of vanilla jazz it up. This favourite apple cake is an inseparable part of autumn as well as falling leaves and chestnut picking. Try to make a cake for once such as we did – in a raw version. 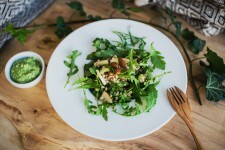 If you feel like eating something lighter also now in the autumn, try a buckwheat salad. This cereal is great in this season because it warms up your body. It’s hard to resist delicious carrot burgers, moreover you risk “loosing” a half even before you carry them to the table. A carrot gives them a tasty mellow texture and a pastry is ready in a jiffy. They are ideal to accompany salad, hamburgers or root vegetable chips. Mother Nature did her best in previous months and so, at the very end of the summer, there are still many crops left in our gardens and woods. 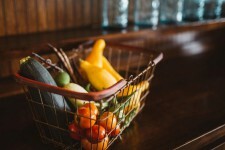 Whether you have your own little piece of land or you have your favourite greengrocer or farmer, we will give you some advice on how to store fruit and vegetables during the winter or how to process it so that most of vitamins and minerals could be preserved. 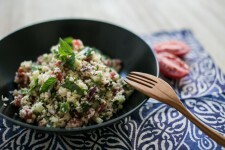 This salad originating in Middle East is refreshing thanks to mint and lemon juice. Try it in a raw form this time. 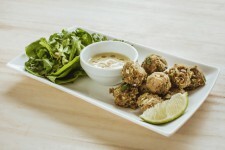 Falafel, chickpeas originating from the Arabic world, is our favourite. We have decided to prepare it a little bit untraditionally in a raw version. Sprouted chickpeas contain plenty of protein, vitamins and minerals and thanks to the gentle preparation, valuable substances are preserved. 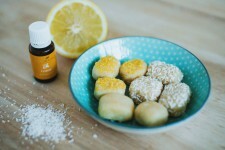 These simple „bonbons“ will surprise you with its fresh lemon aroma and used nuts will pleasantly fill you up. 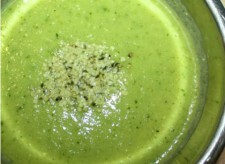 Here we have a beautifully creamy vegan soup that takes your taste buds on a delicious, unique journey!